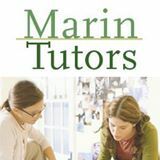 Shannon Mulligan, the founder and director of Marin Tutors, is our resource for student tutoring needs. She has been in business for 20 years providing personalized tutoring and coaching for study skills and time management. Shannon has her tutors meet with the students either at their home or a local library for their personal tutoring. If your son or daughter needs some help or wants to be well prepared for the SATs, give Shannon a call. We do.